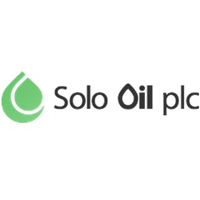 Solo Oil plc (LON: SOLO), a natural resources investment company focused on acquiring and developing a diverse global non-operated portfolio of strategic oil and gas assets, today announced that the Company has agreed to enter into a conditional sale and purchase agreement to dispose of its entire 30 per cent. interest in PEDL331 on the Isle of Wight to UK Oil and Gas plc (LON: UKOG) for a total consideration of £350,000. Oil and Gas plc has agreed to acquire Solo’s 30 per cent. interest in IOW for a total consideration of £350,000. With an effective date of 11 December 2018, the total consideration will be satisfied through the issue of 17,989,326 new ordinary shares in UKOG and cash of £90,450. The Consideration Shares are calculated based on the 5-day volume weighted average price to 10 December 2018 of 1.4428 pence. Based on the £350,000 consideration, Solo has made an investment return of 2.25 times its historical investment in IOW. Completion of the disposal, which will be announced in due course, is conditional upon the usual Oil and Gas Authority consent. Click SOLO UKOG for the full archive.